Behe, James John “Buzzy”, 71, of Lilly, passed away peacefully at his home August 22, 2018 surrounded by his loving family. Born April 26, 1947 in Lilly. Preceded in death by father, James M. Behe. Survived by mother, Caroline (Leja) Behe, devoted wife of 52 years, Linda (Glenn) Behe, his 4 girls, Tammy, wife of Richard China, Tina Digruilles, Tara, wife of Guido Fabbri, and Trisha Behe. Beloved pappy to 7 grandchildren: Nick, Matthew, Mack, Payton, Ella, Maddi, and Gino, and Ruby, his loyal dog. Also survived by sister, Barbara (Robert) Ruffley, sister, Sally Wilcox Santon, brother, John F. Behe, and numerous aunts, uncles, nieces, nephews, cousins, and friends. James enlisted in the Army in 1966 where he proudly served his country. He served as Military Police while in Vietnam and achieved the rank of Staff Sergeant which led to his future career in law enforcement. He was honorably discharged from the Army in 1969. He graduated from Mount Aloysius College with an Associate’s Degree in Science. He was a Pennsylvania State Trooper for 25 years with Troop G in Hollidaysburg where he also held the position of State Police Fire Marshal for many years. Upon retirement he was an Independent Fire Investigator. He was the former President of the Lilly War Memorial Association and spent many years coaching baseball at both the Pony League and Little League levels. 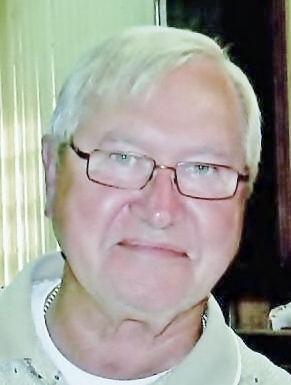 He was a member of the American Legion of Lilly, Lifetime member of the Knights of Columbus, a member of the Fraternal Order of Police, Lifetime member of the Historical Society, and a former volunteer at Our Lady of the Alleghenies Church. James was a devoted family man who enjoyed the simple things in life: camping at the Juniata River, gambling at Rocky Gap, watching his grandchildren play sports, annual beach trips and holidays with his family, and relaxing on the porch with his dog. But he wouldn’t have enjoyed any of it without his loving wife by his side. He will be dearly missed. Friends received from 2-8 p.m. Sunday at the THOMAS F. CLOHERTY FUNERAL HOME, Lilly. Funeral mass will be celebrated at 10 a.m., Monday at Our Lady of the Alleghenies Church, Main Street Lilly, Rev. Monsignor John R. Sasway, celebrant. Committal will be in St. Brigid’s Cemetery, Lilly. Military rites by Lilly Veterans’ Organizations. The Behe family is being served by the Serenko-Claar Funeral Home, PC, Portage. In lieu of flowers, the family suggests memorial contributions be made to the Lilly-Washington War Memorial Association, c/o Joseph Gides, 514 Willow Street, Lilly, PA 15938. Online condolences may be made to serenkoclaarfuneralhome.com.